In the aftermath of the toppling of Malaysia’s Barisan Nasional after 60 years in power, the frontrunner to be Singapore’s next Prime Minister has said a number of things which are strange and bewildering. 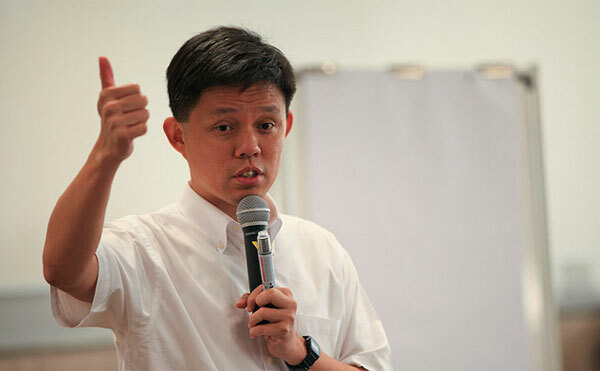 What made Chan Chun Sing come up with these puzzles? Puzzle Number One: Place on record the government’s appreciation for Low Thia Khiang’s contributions. Low is still a Member of Parliament. He merely passed over the reins of secretary-general of the Workers’ Party to Pritam Singh. Even The Straits Times noted that it was a “rare accolade.” Need we say more? Puzzle Number Two: Politics is not just about winning votes but about serving the people and the country. Another head scratcher. To serve the people, you first have to win their votes. So it IS about winning votes first, then comes the service to the nation. Just exactly what was Chan trying to say? Puzzle Number Three: Winning votes by stoking anger and unhappiness may be a common practice elsewhere, but this is negative politics and not constructive. So the government decides how political parties should go about trying to win votes? Surely, it is the task of politicians to tap on the angst and unhappiness (and sometimes anger) of voters. By “elsewhere” does Chan mean Malaysia? The tsunami that swept the country towards electoral change is clearly on his mind. Puzzle Number Four: Agreeing with us (the government) is not a prerequisite. Agreeing to put Singapore first and foremost is the prerequisite. This is like scoring an own goal! Putting the country first was the reason why the Opposition coalition swept to victory. Malaysians rejected race politics, corruption and oppression. They wanted to start afresh and build a better future for the country. They made Malaysia Boleh! more than a slogan by putting their country first. So, four puzzles from Chan Chun Sing in a Parliament speech, following the Malaysian elections. Perhaps he and his colleagues have already done a post-mortem and any spillover effect is cause for concern.